Campbell Manzoni, 19, grew up on a 32m yacht in Hong Kong, and has already made waves as a sailor. 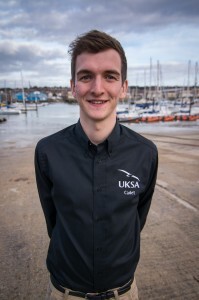 He is now training to work on superyachts and make a career out of his passion. He made the Hong Kong national team in 2010 and his first world championships were in the Laser class after a couple of years of training. His roll call includes world championships in Laser 4.7s, RS Fevas, 29ers (of which he did two world championships and the European championships), and the RS500s in 2013 where he finished fifth overall. “I am fascinated by superyachts and the UKSA Superyacht Cadetship seemed the best, as it combined the qualifications with the experience, which really sold it to me. I felt most of the pressure of my A Levels was off, which actually made me get better grades, as I had finally found a course that suited me. I applied for the course and got in. The next intake of the Superyacht Cadetship is October, and you can apply now for selection.